This map documents the most momentous transition in American History. Map Image: 36" x 23"
Description: This map traces the principal Indian trails and paths, as well as the established Post Roads, Pioneer routes, King's highways and other thoroughfares that constituted the transportation network, circa 1804, of what became the contiguous United States of America. 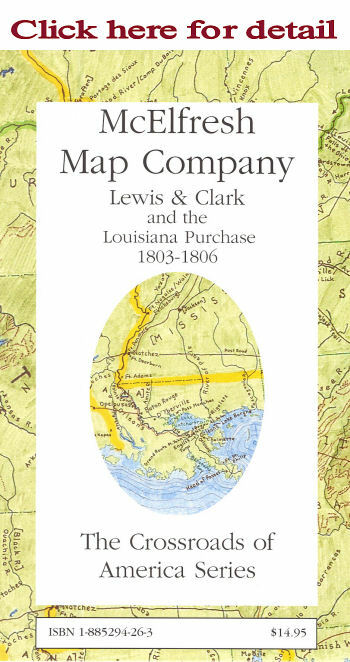 Also outlines and highlights the area and places of the Louisiana Purchase as will as the route of Lewis and Clark. The reverse side contains photographs and accounts of the early road system of North America.